Photos taken on former Great Western Railway lines, apart from those which have their own designated collections (such as the Cambrian Coast Lines), from the last of steam days to the present - a lot more photos yet to add, as per usual! From the Geoff Plumb Collection of original slides. 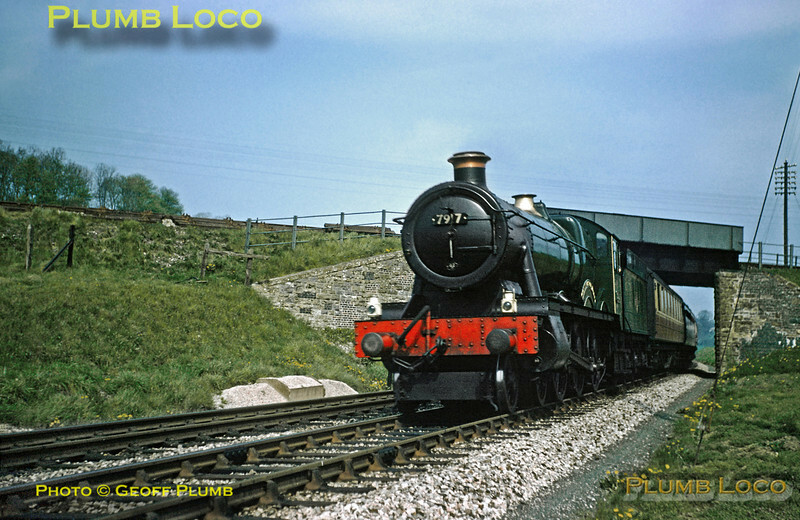 GWR "Modified Hall" class 4-6-0 No. 7917 "North Aston Hall" has not long passed Bruton with a down express from Paddington and is passing under the Somerset & Dorset Joint line near Cole. Friday 2nd May 1958. Photo by D.E.White. Collect Slide No. 29328. 1958?! Looks like it was taken yesterday!